It’s the first Friday of 2018. We’ve been having frigid temperatures the past few days and I’ve been bundling up and staying warm as much as I can. My kitty cats have been staying in and I’ve been wearing my Ugg knock off slippers (5 bucks at Sam’s Club and they are very comfy!) so my feet are extra toasty and warm. I’m also one of the co-hosts of #InstaWithBooks #NewYearWithBooks- and you should def be participating! 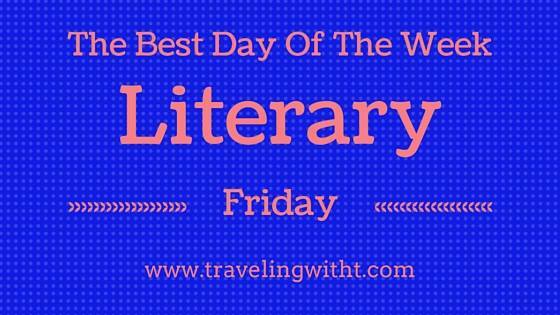 Let’s kick off this first Literary Friday of 2018! 1. The new #FuturisticFriday: Find Your Next Read is posted and Katie at Doing Dewey and I have TONS of books that we think are going to be exciting reads! 2. My 2018 Goals have been posted- have you checked them out? 4. What is my word for 2018? 5. These were some of my fave books of 2017– have you read them? 6. What are your reading goals for 2018? 8. Suzy Approved Book Reviews reviews The Burial Society, Always With A Book reviews The Stolen Angel, Novelgossip reviews Two Girls Down. 9. My #FridayReads is The Last Mrs. Parrish! I just finished listening to THE LAST MRS. PARRISH…really enjoyed it. Going to check out your link to your word for 2018 and your favorite books. I was supposed to go see my nieces today, but the flu and the stomach bug is running through their house so I stayed home! Oh my…I would stay away too. Yes…we are in the deep freeze up here. I finished listening to THE LAST MRS. PARRISH and really enjoyed it. going to check out your Word for 2018 and your favorite books of 2017 links. We had a relaxing day, and I have been listening to the X-Files Cold Cases audiobook.